If you’ve read my article 8 Places to Buy Stylish Nursing Clothes, you know the struggle of finding functional, fashionable clothing for breastfeeding moms. 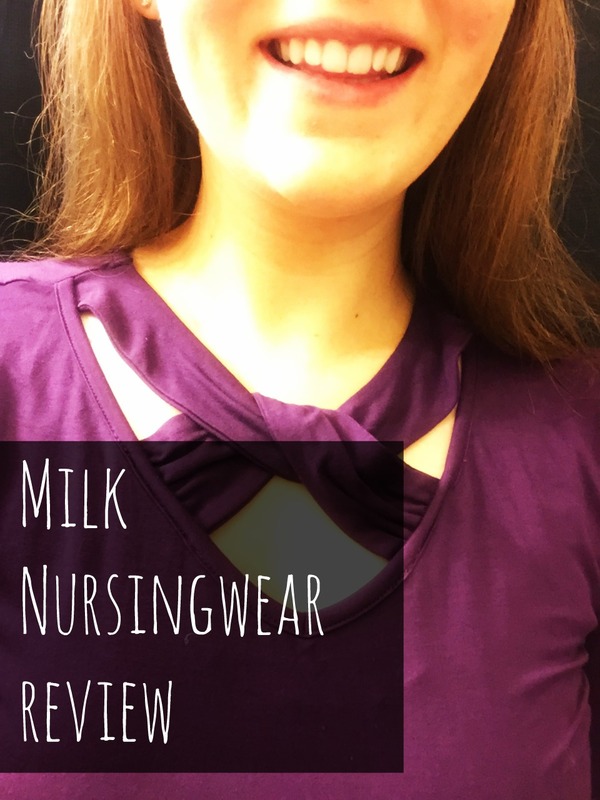 I featured Milk Nursingwear in my original post, and I was absolutely flattered when the company reached out to me to review their clothing AND give away a $35 gift certificate to my readers. Amazing! Milk Nursingwear is a mom-owned company born out of necessity. Founder Elisa Minsk Hartstein thought up the idea for a fashion forward nursingwear company in 1997 after successfully breastfeeding four children. I am a huge fan of Elisa’s company and her success. She is an aspirational figure for all of us supermoms. I chose to review Milk’s cut-out neckline nursing dress. When I saw it on the website, I thought, “Wow, that doesn’t look like a nursing dress at all!” Which is exactly how I want my breastfeeding specific clothing to look. Who wants their outfit to scream lactation? Anyone? Bueller, Bueller? When I got the dress, I was super impressed by the quality. The dress is super soft, the length was great, and I was ready to wear it with pride. I got the dress in purple because it looked fun and fancy. I’m planning on wearing this dress to some Thanksgiving festivities next week, so check out BOTTLESOUP’s social media for more action shots.